Israel Shaked is a Founder and Managing Director of The Michel-Shaked Group, and is also Professor of Finance and Economics at the Boston University Questrom School of Business. For almost four decades, he has taught courses at the graduate and undergraduate levels on various topics, including business valuation, corporate finance and financial economics, and is a two-time winner of Boston University’s Broderick Prize for Excellence in Teaching. He was the Director of the Boston Chartered Financial Analysts (CFA) Examination Review Program for 19 years, and was the co-founder and Director of the Institute of Chartered Pension Professionals (ICPP). He is a member of the Board of the American Bankruptcy Institute (ABI) and is a contributing editor of the ABI Journal. Professor Shaked has authored several books and numerous articles, and appears frequently on television and in the press commenting on contemporary financial and business issues. 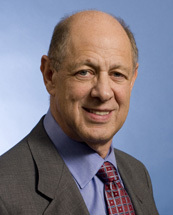 His academic and professional research covers areas including, but not limited to, investment analysts, valuation, financial distress, solvency, preferences, fraudulent conveyance, bankruptcy, LBOs, international business, mergers and acquisitions, economics, corporate structure analysis, corporate financial decisions, and capital markets. Professor Shaked has provided consulting, valuation, investment, and investment banking services to law firms and companies worldwide on a wide range of issues. He has also acted as a consultant to numerous government agencies, including the Securities Exchange Commission (SEC), the Internal Revenue Service (IRS), the Federal Deposit Insurance Corporation (FDIC), the Department of Labor (DOL), Pension Benefit Guarantee Corporation (PBGC) and the Commonwealth of Massachusetts. He has delivered hundreds of seminars to senior corporate executives and law firms in North and South America, Europe and Asia, and has testified before the U.S. House of Representatives’ Ways and Means Committee on the subjects of leveraged buyouts, acquisitions and taxation. He has been engaged as an expert witness, and has offered testimony at depositions, arbitrations and trials on numerous occasions.